An Audiobook of The Unforgettable Mr. Darcy (which has an average of 4.6 stars on Amazon) is now available. It’s narrated by the wonderful Stevie Zimmerman, who does a terrific job as usual. Also, you can visit My Jane Austen Book Club for an excerpt from Darcy and Deception — and a Giveaway! 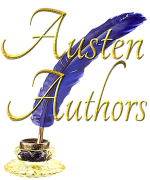 Stop by Austenesque Reviews for a chance to win an ebook of Christmas at Darcy House or an audiobook copy! President Darcy is available as an audiobook at itunes, Amazon and Audible! Narrator Lucy Emerson does a terrific job, and the audiobook is lots of fun. Audiobook of Christmas at Darcy House Now Available! Just in time for the holidays, Christmas at Darcy House is now available on audiobook — narrated by the delightful Julia Eve! Visit Audible or Amazon to get a copy. Half Agony Half Hope Reviews gave When Jane Got Angry 4.5 Stars. Tina wrote, “In my opinion, Victoria Kincaid proves yet again that she is one of the reigning queens of Jane Austen Fan Fiction.” Thank you, Tina!